Microsoft Dynamics 365 | PowerObjects BlogHow Does Field Security Impact the CRM and Outlook Synchronization? How Does Field Security Impact the CRM and Outlook Synchronization? 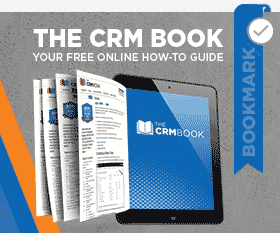 Home CRM 101 How Does Field Security Impact the CRM and Outlook Synchronization? Be the first to comment. One of the coolest features of Microsoft Dynamics CRM is its integration with Outlook. Users just love the ability to access CRM directly from their email client. In today’s blog, we’ll discuss how field security impacts the synchronization of data between CRM and the Outlook client. As a refresher, enabling field security on a field within CRM helps secure the data within the field so that only those with the appropriate field security profiles have the permissions necessary to read, update, or create these fields. For many organizations, field security addresses the needs of restricting access to confidential data or standardizing data entry. As a best practice, it is recommended to not sync secured fields. If syncing is necessary, your CRM administrator can update the sync direction to prevent edits to the field during synchronization. If you’re thinking about applying field security to a synced field, the example below will highlight the implications. Say a potential tenant calls a real estate agency to schedule a viewing of a property. The receptionist takes down the potential tenant’s name and phone number over the phone and enters it in CRM within Outlook. Because the agency wants to confirm the individual’s identification with a government-issued ID, the receptionist is restricted from updating the birthdate field through field level security. Sure enough, when the receptionist syncs Outlook with CRM, the birthdate entered is not visible. When the potential tenant arrives at the property in person, they provide their identification to the property manager for verification. The property manager, having verified the birthdate on the physical government-issued ID, updates the birthdate in CRM. The next time the receptionist syncs Outlook with CRM, the birthdate will be listed. Knowing how field security impacts CRM synchronization with CRM for Outlook is critical for user adoption. If you want to learn more about CRM and Outlook, check out our Webinar on Demand: CRM On-the-Go with Outlook! by Joe D365	October 14, 2016 Be the first to comment.